Without a quality hydraulic pump, your system simply won’t perform its best. So naturally you want to choose a high-quality product. However, you may also need to consider your budget and the need to keep your operational costs reasonable. To end this dilemma, simply choose Oilgear hydraulic pumps in Wilmington CA. These pumps are not only designed to have a fast response time and reliable performance; they also last longer and consume less energy than the competition. Bottom line? You get to enjoy superior performance with a low total cost of ownership, simply by choosing Oilgear hydraulic pumps in Wilmington CA. There are plenty of places to shop for hydraulic parts, but few offer the level of service and the assurance of quality you get at Bernell Hydraulics. Whether you are shopping for fixed pumps or variable pumps, we have plenty of options in stock. Anything we don’t have on hand we can easily order for you direct from Oilgear. Local customers can get their Oilgear hydraulic pumps in Wilmington CA by picking them up in store or taking advantage of our on site delivery service. If you need your pumps sent further afield, we offer nationwide shipping. 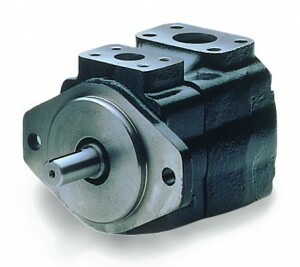 Need Help With Your Oilgear Hydraulic Pumps in Wilmington CA? Selling Oilgear hydraulic pumps in Wilmington CA isn’t all we do here at Bernell Hydraulics. We also provide expert repair services for all your hydraulic equipment. Our technicians have made excellent use of the aftermarket legacy resources provided by Oilgear and are now able to troubleshoot and repair any make or model of Oilgear pump.